SAN FRANCISCO (AP) _ The tech industry has been saying for years that smartphones would make traditional wallets obsolete. But most people still use cash or plastic when they shop in stores. Apple said last week that it’s adding store-issued credit cards and store rewards programs to Apple Pay, the mobile payments service it launched last fall. Google is readying a similar service for millions more smartphones to run on its Android software. And Samsung promises a service for its newest Galaxy smartphones will be accepted in more stores than both Apple Pay and Google’s Android Pay. “Our ultimate goal is to replace the wallet,” Apple vice president Jennifer Bailey told software developers last week. The new options come as numbers show mobile payments are still in their infancy: About 16 million U.S. shoppers used smartphones to pay for $3.5 billion in store purchases last year, according to the eMarketer research firm. That includes payments with Apple Pay, other services like PayPal and apps from merchants like Starbucks and Dunkin’ Donuts. While that’s a tiny slice of the $4.3 trillion spent in stores overall last year, eMarketer expects mobile payments will grow to $27.5 billion in 2016. The progress follows years in which the industry has struggled to get digital wallets off the ground as major players failed to agree on technical standards, security measures and financial terms. Some big merchants have balked at services developed by Apple or Google, saying they’d rather build and control their own system. Still, Apple opened the door for widespread adoption of digital wallets last year when it launched Apple Pay with endorsements from major banks and retail chains. With Apple Pay, which only works on the latest models of iPhones and the Apple Watch, users link a credit card or bank account to their iPhone. Once that’s done, a user only has to hold the phone next to a device at a store counter. The phone and the store device communicate wirelessly, prompting the user to authorize payment by pressing the phone’s fingerprint sensor instead of swiping a plastic card. 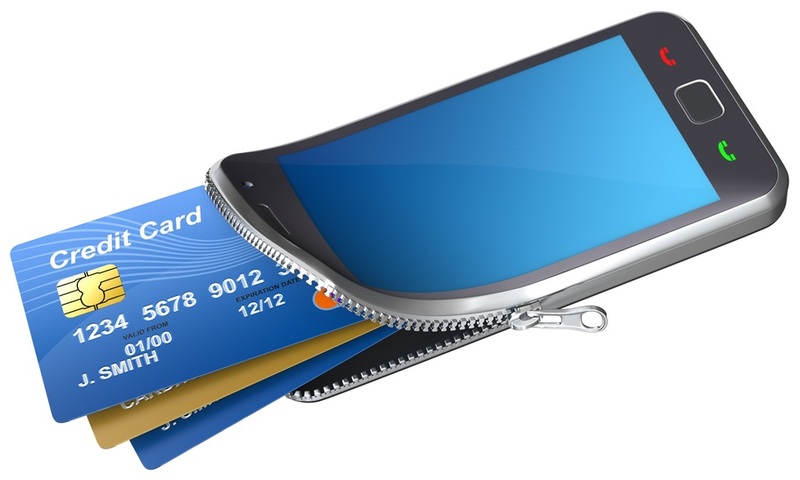 Apple Pay uses encrypted codes to protect shoppers’ financial information. Apple says shoppers and merchants have embraced Apple Pay, although it hasn’t released usage details. One early fan is Allison Lucas, a 35-year-old tech worker who tapped her Apple Watch to pay for a box of breakfast cereal and other items at a Walgreens store in San Francisco’s Financial District last week. “You don’t realize how much freedom it gives you until you try it,” said Lucas, who used her watch to pay for lunch on another day when she accidentally left her wallet at home. But not everyone is convinced they need Apple Pay. “I might come around and try it at some point, but I haven’t really seen a reason,” said Amalia Bornstein, a 29-year-old data analyst. Though she carried her iPhone 6 in hand as she walked along a busy San Francisco sidewalk, Bornstein said she still uses cash or plastic for most purchases. Apple says it’s offering more reasons this fall with its next software update, which will let shoppers charge store credit accounts and redeem loyalty points from major chains. Forrester Research analyst Sucharita Mulpuru said frequent shoppers see loyalty rewards as an important benefit, and they want an easy way to use them. Walgreens expects more customers will pay with smartphones or watches when 80 million members of the chain’s Balance Rewards program will be able to use their loyalty points with Apple Pay, said Ben Weiss, Walgreens mobile products manager. J.C. Penney also is betting iPhone users will want to use their store-label credit cards. Spokeswoman Daphne Avila said the store’s own credit card is used on more J.C. Penney transactions than any other payment card, because customers earn points for every transaction. Google, which had struggled to win support for its earlier Google Wallet service, says major banks and retail chains have signed on to its new Android Pay. The service will work similarly to Apple Pay when released later this year. Google says it will incorporate store rewards, but won’t work with store credit cards to start. Android Pay will work on a variety of phones running the two latest versions of Android software _ or about half of all Android phones in use. Samsung, meanwhile, says it’s addressing another hurdle with a service called Samsung Pay, due for release this fall. Unlike rival services Apple Pay and Android Pay, Samsung says its technology will work with traditional store credit-card readers. Apple Pay and Android Pay only work in stores with equipment capable of receiving data from smartphones via “near-field communication” or NFC radio. But new models of Samsung’s Galaxy smartphones will transmit two kinds of signals _ one for NFC readers and one that works with older equipment that merchants use to read the magnetic stripe on credit cards. Many smaller stores don’t have NFC readers. But Visa and MasterCard are pushing retailers to meet an October deadline for installing new terminals that read cards with embedded microchips, which are more secure than magnetic stripes. While the technologies are separate, many chip-card readers will accept NFC signals too. Some experts are hopeful the changes will draw more shoppers to use digital wallets. But there remain some big challenges. For instance, Wal-Mart has declined to accept Apple Pay and is part of a consortium working on its own mobile payment system. “It’s a chicken-and-egg problem,” said Yeager, explaining that shoppers won’t embrace a service if stores won’t accept it, while many stores want to know consumers and banks are backing a system before they invest in new check-out terminals.